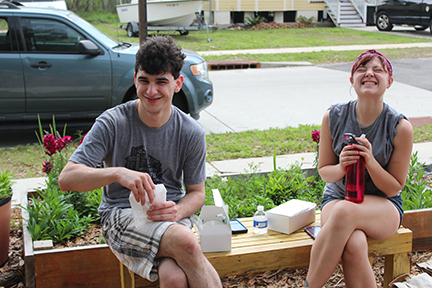 Beginning in 2018, the Honors College began traveling to New Orleans for a service trip. 15-20 Honors students and two faculty members participate in the Honors College Alternative Spring Break trip to volunteer in and explore the city of New Orleans. The trip is student-funded, but support from the UWM Foundation helps make the experience affordable. 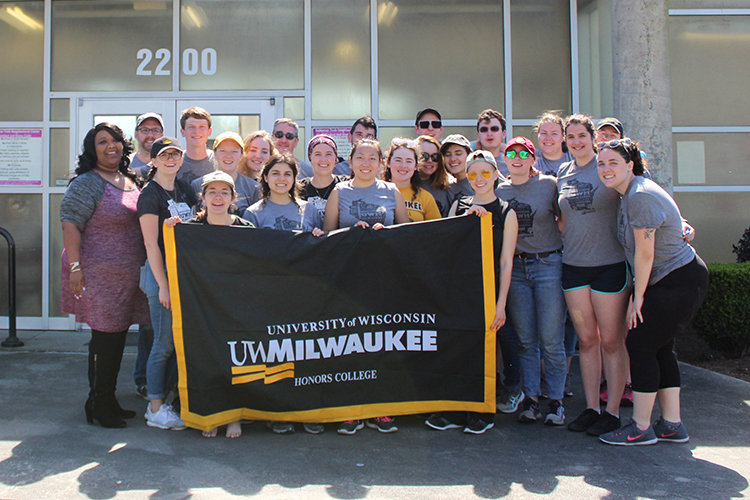 Click here for a story about the trip from the UWM Report. 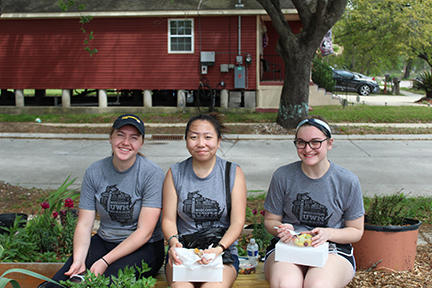 Students and faculty who have chosen to participate in the trip share that the volunteerism is moving and inspiring, the experience increases camaraderie between students and faculty, and the travel encourages personal growth in unexpected ways. See below for more testimonials about the trip. After a week in New Orleans, I’ve had much to look back on. The trip was an incredible opportunity that is best summarized by a single phrase– a barrage of new experiences. Not a single moment of my time in the city felt wasted, and, for as fun as the trip was, it was just as powerful of a learning experience. It would be easy to brush off the service aspect and focus only on our tourism, however that would be removing a lot of credit to one of the most enjoyable aspects of the trip; the service work was hard, but it was just as rewarding as my time spent enjoying the food and music. You never realize how much help a community apart from your own needs until you immerse yourself in the culture, and it would be an understatement to say New Orleans could use a little help. However, offering our aid to the people of the city felt incredible, and in return we learned many lessons from the very people we were there to help. Even after having returned home, my thoughts continue to linger on the people of New Orleans, the help that so many need, and how much more can be done. I hope to be able to return to the city again and to extend my hand in service and friendship to them once again. The Honors College service trip to New Orleans impacted me the most by giving me insight into community life. Learning the culture in New Orleans and witnessing how the community/neighborhood came together for something as simple as a parade around the neighborhood was inspiring. Working with the group and seeing how much we accomplished with sheer diligence also created a sense of community I hadn’t experienced before. Although many of us on the trip did not know each other beforehand, we quickly became friends and were able to laugh as well as work well together within the first couple of days. Beyond the service work, learning about the culture of the city added an intriguing and exciting aspect to this trip. Overall, I believe this trip was very beneficial to me in a personal as well as academic nature.